You just THOUGHT this would be a post with no prime cuts! Ha! Think again! A trio of amazing Astros! Biggio, Correa and Nolan. 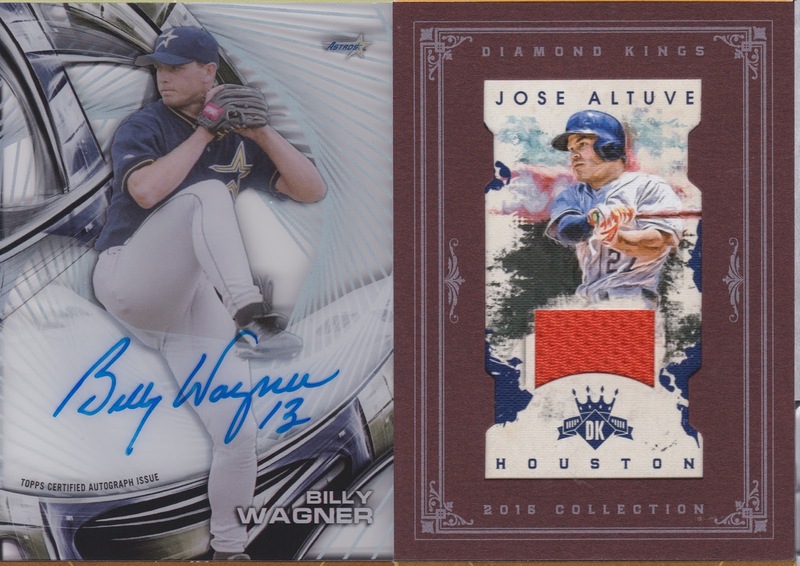 Beautiful cards, and yes Nolan is from 2012, not 2016. Next up is Billy Wagner auto and a Altuve framed relic! The Altuve is THICK. Love the Wags auto, not enough of him on cardboard/acetate these days. I may just have to nominate this one for card of the year or something. Perfect coloring, patch and picture of Evan! Sometimes Topps does alright on design. 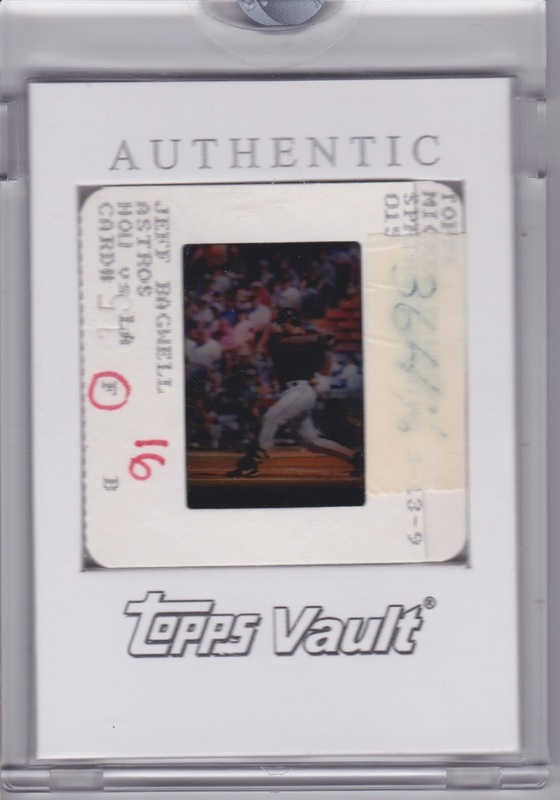 Here we have an interesting piece from the Topps Vault, you can't see it really well but that's Jeff Bagwell from a HOU vs LA game. It's unique and I liked it, so I grabbed it. And who are these two amazing ladies? 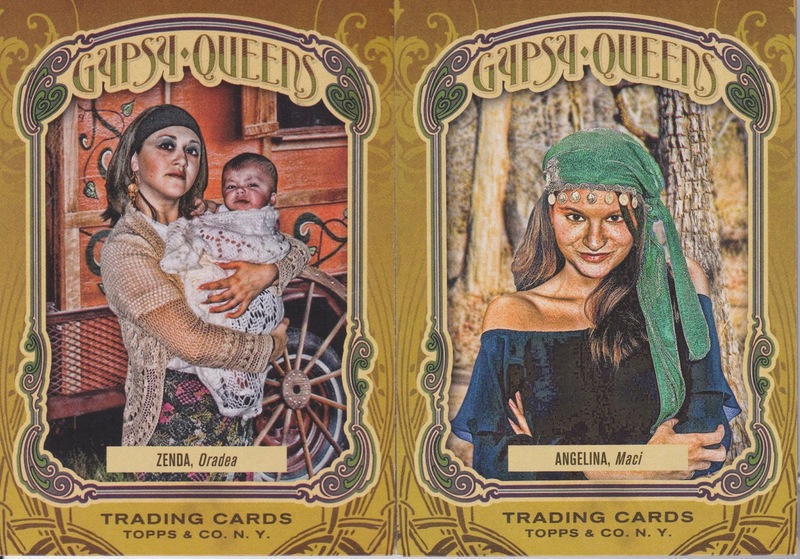 Well, they represent 2 of the 3 Gypsy Queen TAROT card back cards I need to complete my set. Only need unlucky #13. 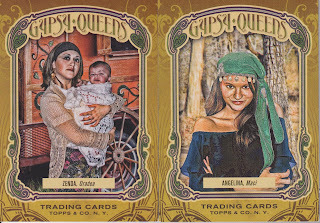 So go dust off your 2011 GQ and let me know if you have Tarot Card #13 Gypsy Queen. Not a bad haul at all. Well, at this point, you're thinking "Hey Dimwit, you said in the title that there was a contest and you can't sign off now." Well, you're right, I did and I won't. I've been taking a look at the old blog stats and seeing a definite decline (as expected) in readership. So, as a means of increasing readership and shamelessly getting my blog title back out there I will run a little contest. To reward those of you readers who also blog, this will require a blog post and a plug. So, do a post, plug my blog or this post in some way with a link. Comment on this post with a link to your post and the team/player you collect, and you're entered in the contest. I'll run this through Sunday night. Hopefully this brings me some blogs that I don't know are out there, and maybe introduces me to some readers who don't know I'm blogging. What will you win? Well, you'll get at least one autograph or relic card from your preferred team (if I have one, which I'm sure I do) and a small package of cards that relate to your collection. Alright, that was long winded enough. E-mail me if you have any questions. Now I have to write about you???? Does it have to be nice? I don't see anything in the rules stating I have to say nice things. Count me in. I'm always up for some cards. I'm not sure how many readers I really have anymore but I tried to send them here. I collect White Sox and have a bunch of player collections as well. Great blog dude. I just found your site tonight. Look forward to exploring it! Thanks for the contest. I'm a Detroit homer mostly. Go Tigers. Terrific contest...It's my pleasure to have you as a fellow baseball blogger... I'm a 50 years Detroit Tigers fan...my hero was Bill Freehan...and now it's Justin Verlander and Miguel Cabrera... Go Tigers! Welcome back Sam! This may just be the kick-start I need to reinvigorate my own little slice of the Sphere!! 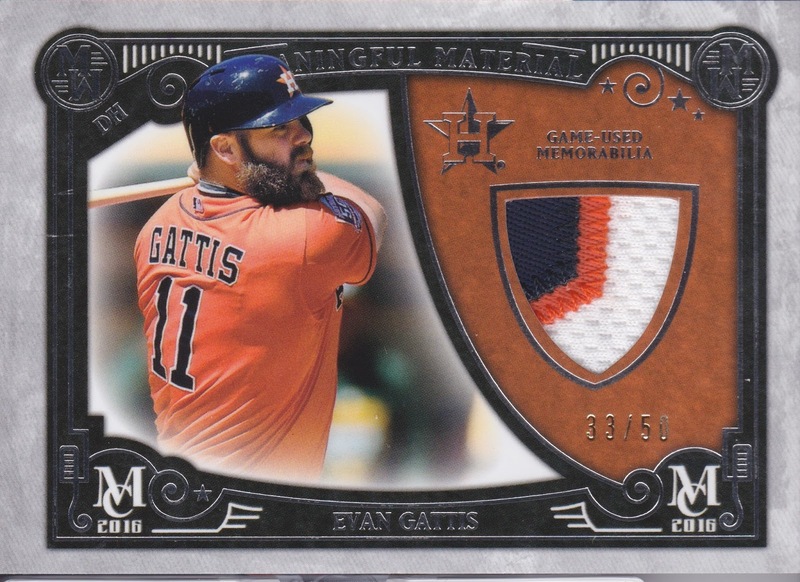 and you're right, that Gattis card is very nicely done! 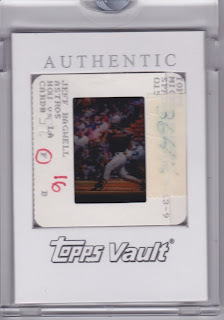 Yours was actually the first baseball card blog I found, way back in 2010 or maybe early 2011. Glad to have you back. I collect anyone who's ever played for the Cardinals, so even a Bobby Bonilla Marlins/Mets/Pirates/Dodgers card would fit my collection. 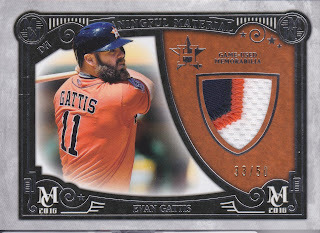 My Sport Card Collectors blog has a lot of posts posting today and tomorrow, so I put up one on my secondary blog, The Card Bin. I have also added you to my blogroll. I always look forward to adding new reading material. I collect so much lol. Non sport card autos and mem, NY Giants, Ken Griffey Jr, NY Yanks and the list goes on but those are the main group. Sounds interesting.. I have a blog as well..
Love the vault photo negative, got a few glavines as well (although no vault authentication), grats ! Glad to check out your blog and hope you keep up the return! I collect the Seattle Mariners, so would be happy with anything Mariners.